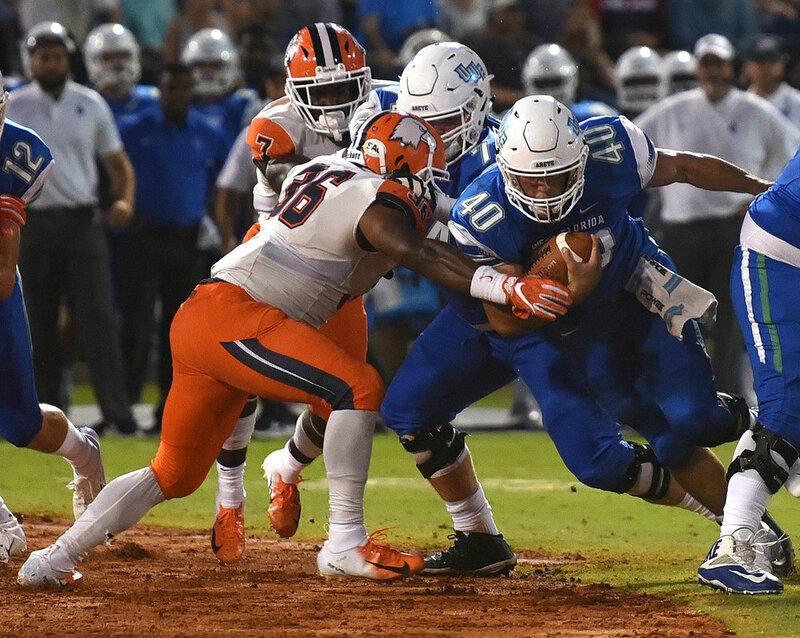 NASHVILLE, Tenn. – UT Martin’s Dresser Winn and Carson-Newman’s Temoris Coats were named the Offensive and Defensive Players of the Week, respectively, by the Tennessee Sportswriters Association for their efforts in contests from September 3-9. 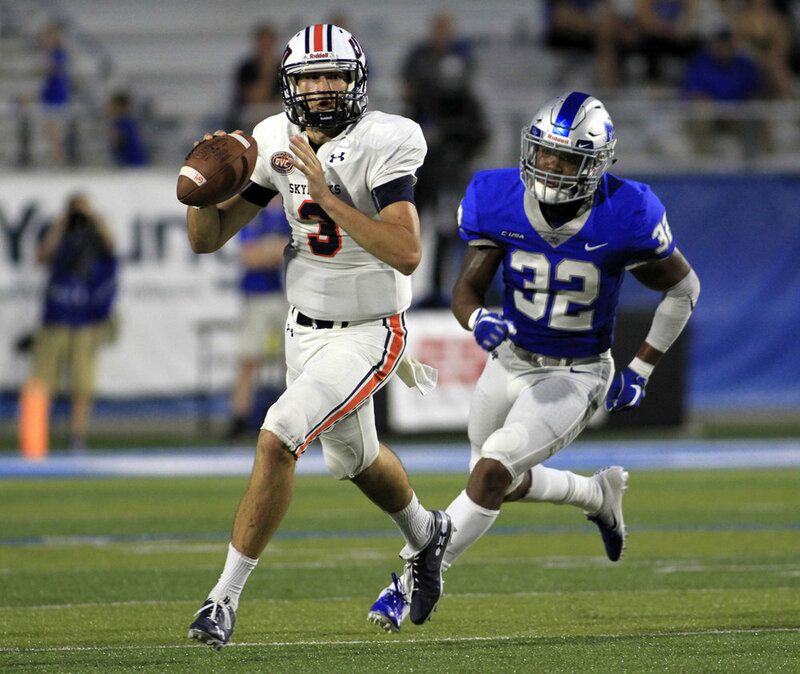 Winn completed 34-of-53 passes for 355 yards and four touchdowns against Middle Tennessee. The Dresden, Tenn., native tossed TD passes of 16, 11, 51 and eight yards. He threw two touchdown passes in the first half, as the Skyhawks trailed just 20-17 at the half. Winn has completed 64 percent of his throws (49-of-77) for 524 yards, five touchdowns and two interceptions in two contests. Coats posted 11 tackles with 2.0 tackles for loss for the Eagles in a 33-29 win over Virginia Union. The Greenwood, S.C., native recorded both tackles for loss on back-to-back plays late in the first half and made four solo stops. He leads the club with 20 tackles and 3.0 tackles for loss in two games for Carson-Newman. NASHVILLE, Tenn. – Carson-Newman’s Ashley Keylnack earned Tennessee Sports Writers Association Men’s Soccer Player of the Week accolades, registering three goals and one assist in a pair of wins for the Eagles. The High Wycombe, England, native netted a pair of goals in a 3-0 win versus North Greeneville, scoring off a rebound in the 56th minute and again in the 69th minute unassisted for the final two goals of the match. The junior added a goal and an assist in a 2-1 victory over Barry University. Keylnack assisted on Jonny Le Quesne’s score in the 39th minute to put the Eagles ahead and recorded the eventual game-winner in the 47th minute. NASHVILLE, Tenn. – Middle Tennessee’s Hannah Tillett scored four goals in two outings for the Blue Raiders, earning the Tennessee Sports Writer’s Association Women’s Soccer weekly honor. The Huntington, Ind., native netted the first goal in a 4-0 victory over Valparaiso on a penalty kick, putting Middle Tennessee ahead in the 52nd minute. The freshman then posted a hat trick in a 4-0 win against Western Carolina. She scored in the 17th minute on assists from Amber Hoot and Peyton DePriest and again in the 41st minute from Olivia Hansen for a 3-0 Blue Raiders lead at the half. Tillett collected her seventh goal of the year in the 61st minute, this time from Sam Debien. 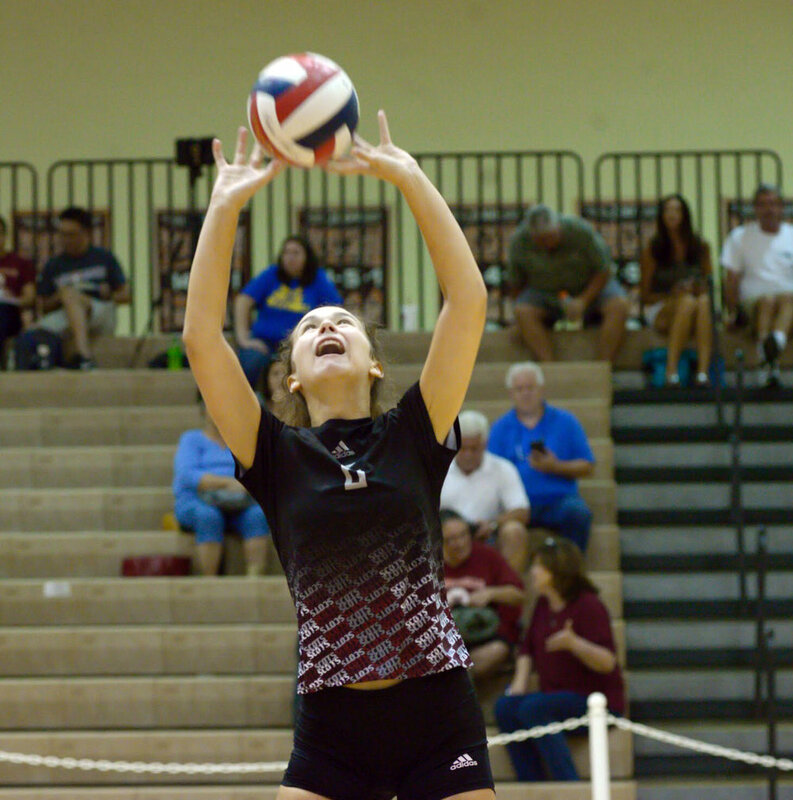 NASHVILLE, Tenn. – Maryville College’s Meredith Bonee was named the Tennessee Sports Writers Association’s Volleyball Player of the Week, registering 24 kills, 69 assists and 33 digs, registering a triple-double and a double-double in three matches for the Scots. The Knoxville, Tenn., native recorded a triple-double against Rhodes College with 23 assists, 14 digs and 11 kills in four sets. The freshman followed that with 21 assists, six kills, six digs and four service aces in a four-set victory against Salem College. Bonee collected 25 assists, 13 digs, seven kills and five service aces in a comeback, five-set win versus Lynchburg College. She is averaging 4.56 assists, 2.44 digs and 1.68 kills per set through six matches this season for Maryville.